Russia’s national air carrier will launch a brand new budget airline that will replace Dobrolet, which was shut down due to the sanctions imposed by the European Union over its flights to Crimea. 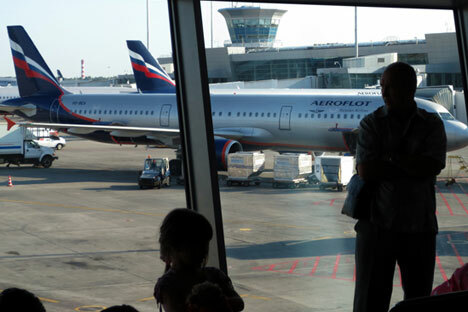 Russia’s national air carrier, Aeroflot, is creating a new low-budget airline to replace Dobrolet, which was shut down because of the EU sanctions, Russian information agency ITAR-TASS cited Aeroflot CEO Vitaly Saveliev as saying at an August 25 press conference in Moscow. According to Saveliev, Aeroflot will register a new subsidiary in the very near future, and it will be up and running on October 27 – the beginning of the winter season. In the month and a half of its operation, Dobrolet proved that the low-cost model can be profitable, and Aeroflot is not planning to give up on it, the executive said. At the beginning of August, Dobrolet was added to the EU’s sanctions list because it offered flights to Crimea, whose incorporation into Russia is unrecognized by Europe and the U.S. After that, the Europeans annulled leasing contracts for the planes, as well as the contracts for technical maintenance and insurance. “Aeroflot seems to have firmly resolved to occupy the market for budget flights, and it will achieve this by all means,” said Ilya Balakirev, chief analyst at UFC IC. As such, the failed budget airline’s successor is likely to start with the routes that Dobrolet had begun to service, but it is unlikely to offer flights to Crimea. Saveliev said that the most likely routes are Samara (650 miles southeast of Moscow), Volgograd (600 miles south of Moscow), Sochi (1,000 miles south of Moscow), and Tyumen (1,300 miles northeast of Moscow). The new airline will get a new operating certificate and have four planes: two Boeing 737-800s that were bought for Dobrolet and another two Boeing 737-800s scheduled to arrive at the end of 2014. Because of the sanctions imposed in August 2014, European companies were barred from cooperating with Dobrolet, and all of its assets in the EU had to be frozen. According to Russian business newspaper Kommersant, the key problem was Irish company SMBC Aviation Capital’s refusal to execute the leasing contract for the Boeing 737-800NG. In addition to that, German company Lufthansa Technik refused to render technical maintenance services for the aircraft. However, the sanctions envisage a ban on flights only under the Dobrolet logo, so Aeroflot has not incurred any other losses. According to Sberbank analysts, Aeroflot had already spent $20 million of its $100-million investment project by March 2014. In the middle of August, Russian business newspaper RBC Daily cited a statement by Aeroflot’s management for investors, saying that if Dobrolet had continued to operate, it would have incurred a negative EBITDA of about 1.4 billion rubles ($38.7 million) by the end of the year. “Low-cost airlines operate successfully throughout the whole world, and there is no reason why they can’t work in Russia,” said Finam Management analyst Dmitry Baranov. “Again, the reasons behind Dobrolet’s suspension are purely political, not economic. This is pure force majeure, and there are no economics involved,” he said. According to Baranov, this means that Dobrolet could actually continue to operate, albeit after a hiatus. Many European carriers are creating their own low-cost airlines. Lufthansa’s press office told RIR that in addition to the eponymous airline, as well as Swiss, Austrian Airlines, and Brussels Airlines, the group also contains the subsidiary Germanwings, which runs on the budget model. Lufthansa flights from Moscow and St. Petersburg to non-hub airports in Germany have been handed over to Germanwings. Furthermore, Lufthansa is planning to launch an intercontinental discount airline, which could perform its first flight in winter 2015. Ilya Balakirev has doubts as to the viability of Dobrolet’s business model. “The share of fuel and airport fees in the air carrier’s price is too high, without any prospects for a substantial reduction in the coming years,” he said. Dobrolet is already the third attempt at creating a Russian discount airline. The prior two attempts – the airlines Sky Express and Avianova – went bankrupt in 2011.